Original impressionist art for sale by graphic impressionist Solveig. 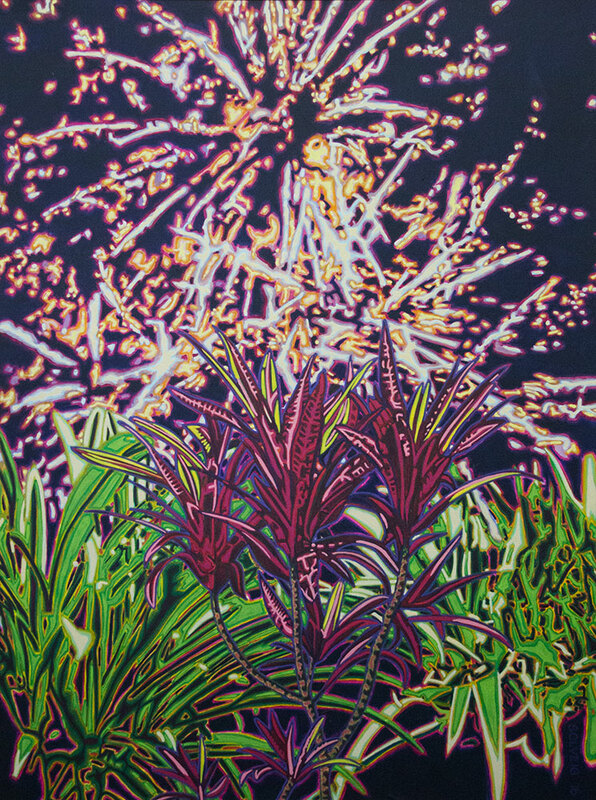 This is attempt to emulate the explosive shapes that Nature expresses when excited: fireworks, explosions. It invites people to be excited and expressive too. It’s expansive and incredibly beautiful. It’s part of the way Nature repeats its pattern throughout the Universe.